As the first bank owned by the Government of Indonesia, PT Bank Negara Indonesia (Persero) Tbk, established in 1946 began its history by serving as the central bank as stipulated in Government Regulation in Lieu of Law No. 2/1946. In 1955, when the Indonesian government established Bank Indonesia as the Central Bank, BNI began operations as a commercial bank. Furthermore, the role of BNI as a bank that was mandated to improve the people’s economy and participate in national development was confirmed by Law No. 17 Year 1968 on Bank Negara Indonesia 1946. BNI offers fund deposit services and loan facilities to the corporate, small and medium segments. A number of products and services have been adapted to the needs of consumers, whether children, adolescence, adult, and even consumers in their retirement age. By the end of 2015, BNI had total assets of Rp508 trillion and a total of 26,875 employees. BNI operates a wide ranging service network throughout Indonesia, with 1,826 domestic outlets and 6 (six) overseas branches (Singapore, Hong Kong, Tokyo, London, New York, and Seoul). Currently, BNI has 16,071 ATM’s, supported by the “ATM Bersama” network in cooperation with other banks in Indonesia. 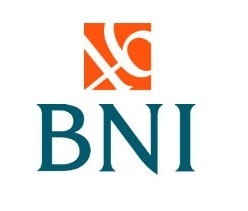 BNI also serves its customers through 71,000 EDC’s, as well as through Internet banking and SMS banking. BNI is the best place to contribute, learn, and growth to be pride of the nation. Bina BNI Internship Program is coming back. Could be you who we are looking for? For further information or online registration please visit link below. All selection stages are free of charge.